The area known as the ‘Welsh Province’, which comprises of Wales and Herefordshire, has a long history of Christianity. The martyrdom of Ss. Alban, Julius and Aaron is the first landmark in our Christian history in Britain. It is probable that they were put to death in the persecution of Valeriam (257-259). It is believed Alban was martyred at where is now the City of St. Albans in Hertfordshire, and it is believed that Julius and Aaron were citizens of Caerleon, near to modern day Newport, and were martyred there. The Venerable Bede (672-375), following Gildas (500-570), mentions them in his Ecclesiastical History and they are to be found in the Roman Martyrology. We also know that at the Council of Arles (314) three British Bishops were present. During these years Christianity made great strides and spread throughout the whole land until the final withdrawal of the Roman Legions in 406. While Eastern Britain eventually became England through the Anglo Saxon invasion, Wales remained steadfastly Christian, which produced many great Christian Leaders, including Ss. Illtyd, Dyfrig (d.550), David (d.589) and Teilo (d.560). Perhaps it is St Dyfrig, also known as Dubricius and Devereux, who should be the Patron Saint of Herefordshire and South Wales. He really is our Father in Faith; he gave the strongest impulse to the vast enterprise of evangelisation of saints such as Teilo, Samson and Illtyd. Dyfrig was born in Herefordshire at Madley. His two great monasteries were at Moccas, further along the road to Bredwardine and Hay of Wye, and at Hentland, again on the banks of the Wye near Ross. He became Bishop of Ergyng, an area that more or less covered the three counties that became the Archdiocese of Cardiff in 1916. Dyfrig was said to have attended the Synod of Llanddewi Brefi in 545, where he resigned his See in favour of St David and retired to Bardsey Island, there to die. In 597 St. Augustine of Canterbury was sent by Pope St. Gregory the Great to begin the conversion of the pagan English. He had two meetings with the British Bishops and Abbots. Augustine wanted the Welsh Church to amend a number of its local traditions, particularly to keep Easter according to the Roman date. The result was an excess of ill-feeling between the English and Welsh Churches which Augustine’s successor, St. Lawrence, caused in Ireland and Scotland as well. The dispute lasted until 768 when a young Welsh Bishop called Elfodd persuaded his fellow countrymen to come into line with the Roman Easter date. ‘Loyalty of the Welsh to the See of Peter was not in question and Rome found the commmands as readily obeyed in Wales as in all other parts of the West’. The capture and re-organisation of the Welsh ecclesiastical system by the Norman conquerors saw the confirmation of four Welsh dioceses, St. David’s, Bangor, Llandaff and St. Asaph with the appointment of bishops in line with the wishes of the Norman overlords. They became accepted, often with some reluctance, by the people of Wales. Extensive foundation of monasteries, in particular by the Cistercians, and later the influence of the Franciscan, Dominican and other friars, helped the process of pacification and acceptance until the Reformation. 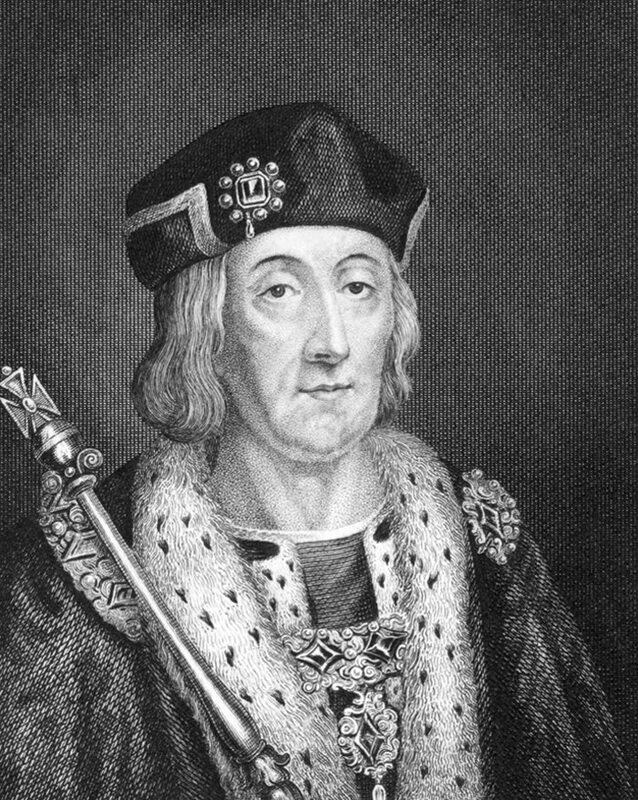 Under Henry VIII, Wales became part of the realm of England and the four dioceses part of his autonomous “Church of England” of which he proclaimed himself the “supreme head”. All the Welsh religious houses were suppressed in 1536 including the Cisctercian Houses at Llantarnam Abbey and it’s associated grange at Penrhys. The well known Shrine of Our Lady of Penrhys was ultimately destroyed in 1538. These events brought deep social implications for the people and except for a brief period under Mary the members of the Catholic Church in Wales and England then entered a two hundred year period of deprivation and persecution. Despite early resistance to the changes, the Old Faith barely survived in many parts of Wales. Large numbers of the Catholic gentry faced penury and imprisonment for being recusants – refusing to attend the new services in the parish church. Missionary priests educated abroad were hunted down when they returned and tried to minister to pockets of Catholics in secret houses. Being hung, drawn and quartered was the penalty they faced for being “massing” priests. These policies gradually prevailed and the supply of priests diminished drastically – except in some large estates owned by heroic and influential Catholics, particularly in Monmouthshire. Families like the Vaughans, the Gunters and the Herberts hid and maintained chaplains so that their own families and their workers could attend the celebration of the Mass. Martyrs including Ss. David Lewis, John Kemble, John Lloyd and Philip Evans gave their lives to keep the Faith alive in Wales and Herefordshire. Gradually the penal laws against Catholics were eased and in 1829 this culminated in Catholic Emancipation when a great many – but by no means all – of the restrictions on Catholics were swept away. From 1688, despite the danger to the individuals appointed, Rome chose men of piety, integrity, sacrifice and learning to act as ‘Vicars Apostolic’ to areas of Britain. Wales and Herefordshire were part of what was known as the Western District. This was administered by the following monks and friars whose appointments as Vicars Apostolic carried the rank of bishop. In 1840 the Western District was divided in two. Herefordshire, Monmouthshire and Wales became the Welsh District, with Bishop Brown, OSB as Vicar Apostolic. The amazing story of the Catholic Church in Wales in modern times belongs to these two great men. Between them they built up the Church in this land and provided for the needs of a growing Catholic population, most of whom were poverty-stricken immigrants from Ireland, Italy and other parts of the United Kingdom. In 1895 boundaries were once again changed to reflect the make up of the Catholic Church in these parts. The Diocese of Newport was redefined comprising the counties of Glamorgan, Monmouth and Hereford. Bishop Hedley was reappointed in 1895 and continued until 1916. Francis Mostyn was Vicar Apostolic for the rest of the area until 1898 when it was made the Diocese of Menevia of which he became the Ordinary. The Diocese was ultimately part of the Westminster Province. On 7th February 1916, Pope Benedict XV issued the decree “Cambria Celtica” erecting the Cardiff Province, comprising the Metropolitan Archdiocese of Cardiff with the Diocese of Menevia as a suffragan see. The Episcopal Seat was transferred from Newport to the growing city of Cardiff and the See was to have Archiepiscopal status, the Archbishop being responsible for overseeing the Church in the Province. The Archdiocese of Cardiff would watch over the flock of South Wales and Herefordshire, and the Diocese of Menevia would care for the North. Uniquely, the Holy Father decreed that the Archdiocese should have two cathedrals with two cathedral chapters. The church of St David in Cardiff was to become St David’s Metropolitan Cathedral, and in recognition of the major role the Benedictines played in the history of the Church in this land, Belmont Abbey in Herefordshire was to be co-cathedral. This remained so until 1920 when Belmont Abbey was raised to the status of an autonomous Abbey with the decree “Praeclara Gesta”. 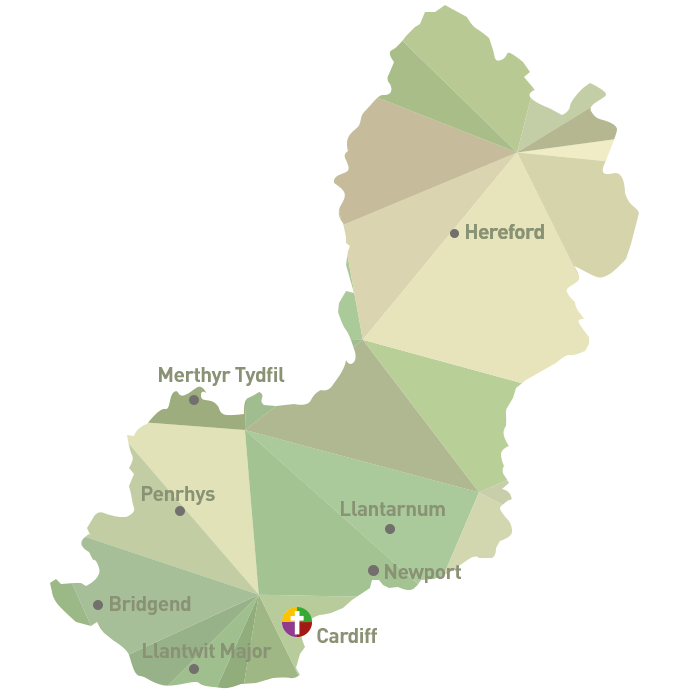 These boundaries remained until 1987 when Pope St John Paul II divided South Wales in two. The Archdiocese of Cardiff would have responsibility for the South East portion and continue to look after Herefordshire. The South West of Wales was a new Diocese but taking on the old name of Geneva, with the Episcopal Seat being in the city of Swansea. North Wales became the Diocese of Wrexham. These boundaries continue to this day. On 7th February 2016 Archbishop George Stack of Cardiff was joined by Bishop Tom Burns of Menevia and Bishop Peter Brignall of Wrexham to celebrate the centenary of the Province and the Archdiocese. They joined the community of monks at Belmont Abbey in giving thanks to Almighty God for the past and commending to the future to Him. People from all over the Archdiocese of Cardiff were in attendance for a truly inspiring celebration. The history of our Diocese is long and rich and long may it continue.